Meet the 25 nominees shooting for glory in Wheels Car of the Year 2016. A HUGE field of stellar cars, eight experienced judges, seven exciting days and thousands of high octane kilometres... This is the 2016 Wheels Car of the Year. Now in its 53rd year, the world’s longest-running motoring award for excellence is upping the ante. This year, our exclusive award will become more inclusive. This year COTY has two complementary goals. First, and always foremost, is to crown the Wheels Car of the Year. Secondly, we’re determined to make COTY the de facto Wheels road-test annual. We’re cramming more great cars launched in the past 12 months into COTY. We’ll make our eight expert judges work harder than ever before. And we’ll cover the highs and lows in more detail, and across more publishing platforms. We’ve even convinced our publisher to add an extra 32 pages to the February issue of Wheels, so we can give every one of our 25 nominees for 2016 Car of the Year (yep, we’re adjusting the award’s name to reflect the winner’s year of reign) the coverage they so rightly deserve. So, without further ado, here are the 25 nominees for the 2016 Wheels Car of the Year. FIRST, the locals. For the second year in a row, no Australian-made vehicle will greet the judges at COTY. The Australian-developed, Thailand-built Ford Everest is the closest this year’s field comes, and gives us a good insight to Australia's future as a local engineering and design hub. Separate chassis vehicles seldom do well at COTY, partly because their immense off-road skills come at a cost to on-road competence and dynamics – two attributes Wheels prizes highly. But the Everest's unquestionable competence as a rugged seven-seat people-mover adds a very COTY-friendly string to its big bow. Even so, the Everest's challenge is formidable, because COTY's imported field is full of apex predators. 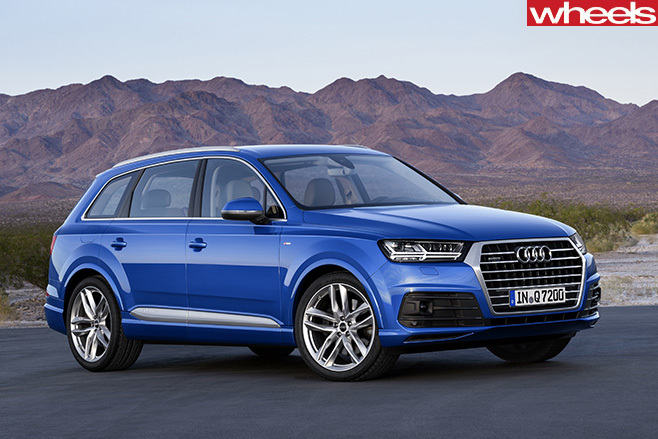 Few can match the massive generational improvement of the Audi Q7 SUV. After nearly a decade establishing Audi’s credentials as a serious luxury SUV player, the second-generation Q7 goes some way to banishing its behemoth tag. Its slightly smaller and narrower body is a whopping 300kg lighter, yet gives nothing away in terms of cabin space or practicality. Additionally, the family hauler ups the ante with step-ahead autonomous-braking safety and a smorgasbord of refinement and efficiency tech that puts other full-size seven-seaters on notice. Audi hasn’t forgotten enthusiasts, though. 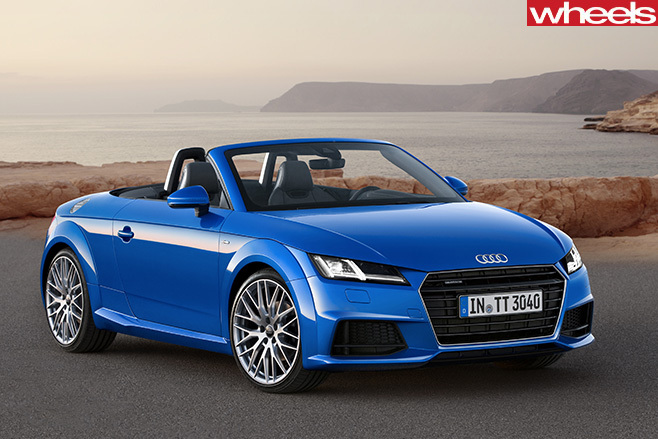 The sharper, lighter, third-gen TT style icon makes a play for serious drivers, backed up by a sweet yet stirring four-cylinder turbo. For us, the all-new platform’s ferocity is just as impressive as that masterpiece of an interior, which pushes the boundaries for modern luxury technology. 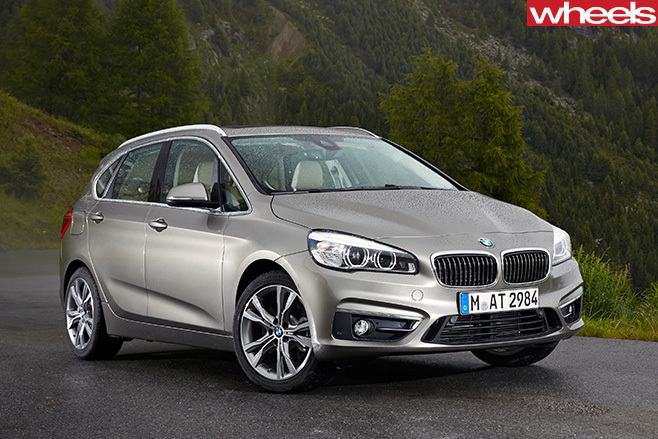 Arch-rival BMW hasn’t been sitting on its hands, the 2 Series Active Tourer allaying fears that going front-wheel drive would mean a nosedive in driving involvement. Throw in frugality, versatility and liveability and Bavaria’s newest five-seat MPV-esque hatch pushes its maker into interesting new territory. Incredible advancements underpin BMW’s sixth-gen 7 Series flagship as it tries to leapfrog the Mercedes S-Class for technological supremacy in the luxury segment. With the underpinnings expected to sire a future Rolls-Royce Ghost, it’s evident that a painstaking desire to be top dog permeates everything about this opulent intercity express. 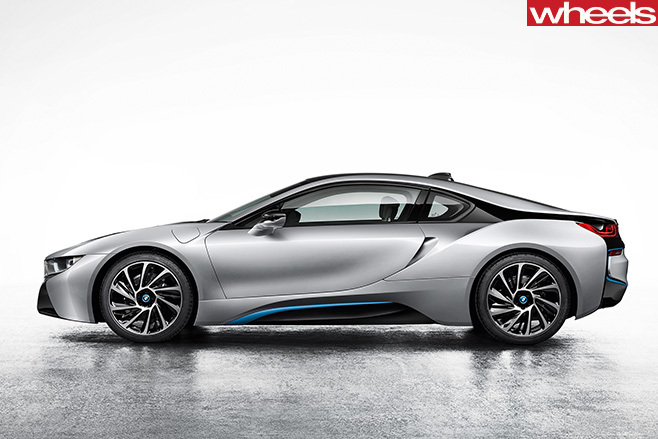 Nothing illustrates BMW’s branching out into new segments more radically than the i8 supercar, simultaneously evoking past masterpieces like the 1970s-era M1 and driving into the future with an incredibly smart petrol/electric drivetrain. That this scissor-doored delight also looks like an automotive extra from Blade Runner isn’t lost on us, either. Last but not least for BMW is the new-from-the-ground-up X1, which rights many of the wrongs of the original 3 Series-based longitudinal-engined model. This latest front/all-wheel-drive compact SUV shows the Audi Q3s of the world that ‘The Ultimate Driving Machine’ means business when it comes to space, practicality and enjoying the long way home. The Everest isn’t Ford’s only play for COTY glory this year. The Mondeo mid-sizer will soon step into the legendary Falcon’s shoes, facing a daunting challenge in winning over Ford diehards, but even a brief stint behind the wheel should convince most that the European-developed Mondeo is a worthy replacement. 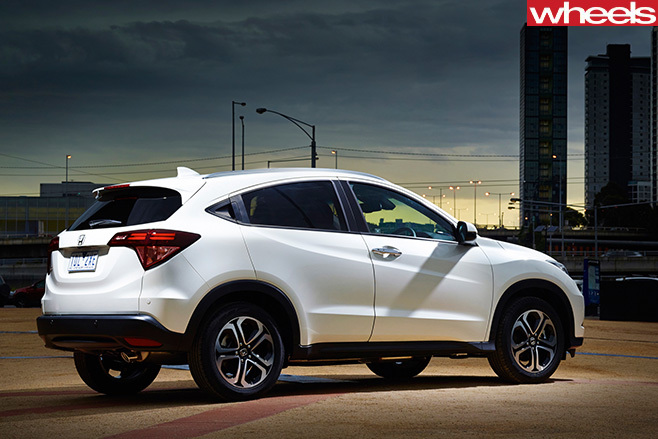 Honda has a hit on its hands with the HR-V. The pretty, compact SUV combines astounding rear-seat versatility with the Civic’s punchy atmo 1.8, at a price that makes many rivals seem greedy. Can this likeable city-slicking front-drive crossover make it seven wins for the re-energised Japanese brand? 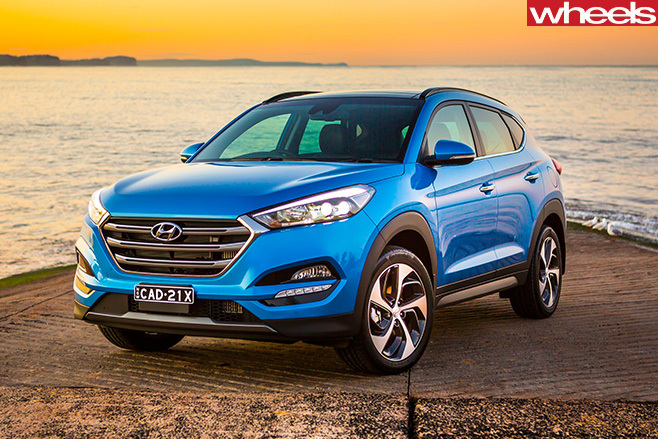 The Hyundai Tucson is shaping up as one of the most convincing comebacks in history. 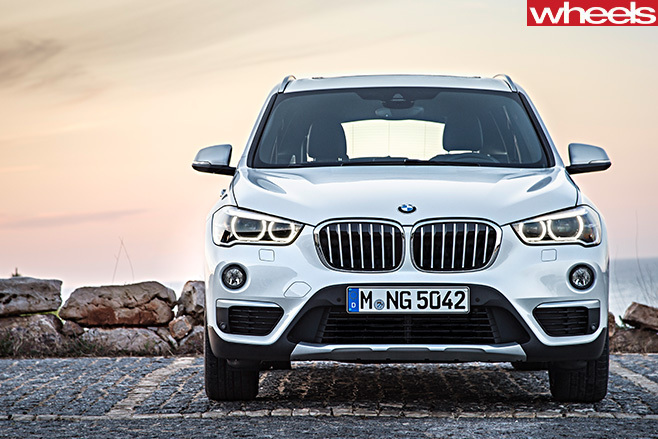 After the popular but patchy ix35, this medium Korean SUV is a true world car, melding European design and engineering smarts with a spacious and cosseting interior. After the largely forgotten X-Type of 15 years ago, Jaguar’s return to C-Class territory could have been another embarrassment. But the hunky XE grows real claws at last, smashing preconceptions about the British brand more effectively than any model since the 1968 XJ, and redefining luxury compact sports-sedan parameters with breathtaking confidence. If you love driving, this Leaping Cat will not only make you take the long way home, it will become your home. The Italian-built Renegade is like no other Jeep, shouting its urban-focused design and packaging with an infectious charm that has the ability to make us all believers. Anti-convention, anti-boring and anti-establishment, this is the sort of fresh thinking that deserves a COTY cap. 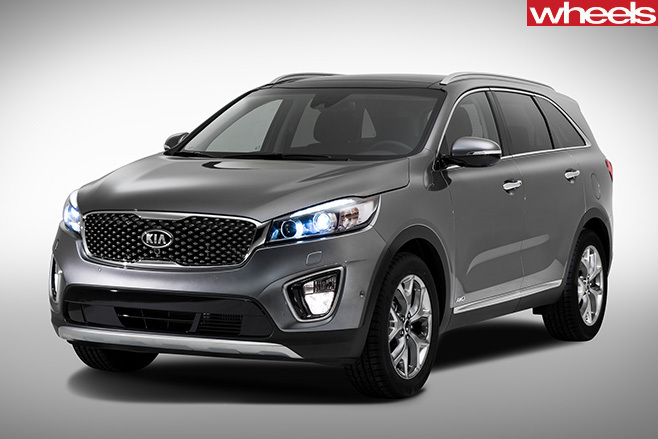 Is there a better-looking range of vehicles than Kia’s? 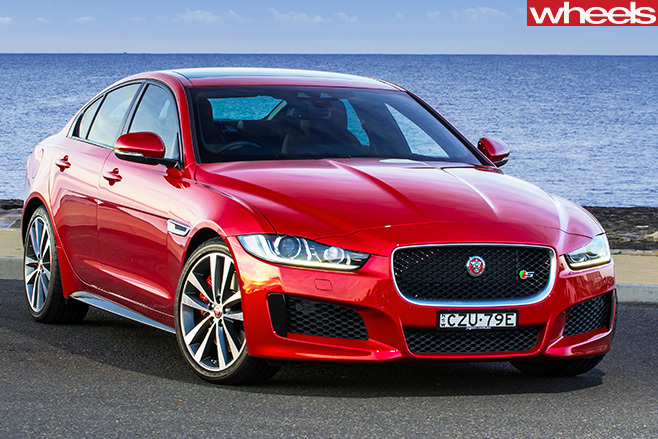 We’re promised that the latest Optima gains the verve and muscle that was sorely missing in its striking predecessor. 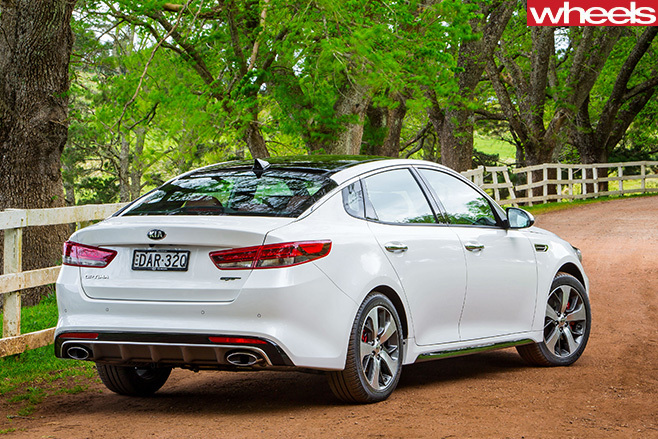 Like the Renegade, the Optima has arrived late in the day, so we’re keen to test its mettle. Wheels history was made in September when the latest Kia Sorento (in top-line turbo-diesel guise) took the company’s first-ever group test win with unexpected swagger. Beating a former COTY winner (Territory), the seven-seat SUV finally lives up to the company’s ’Power to Surprise’ motto. Add competent design, a great cabin and a seven-year warranty and nothing in this class is as complete. Bravo, Kia. 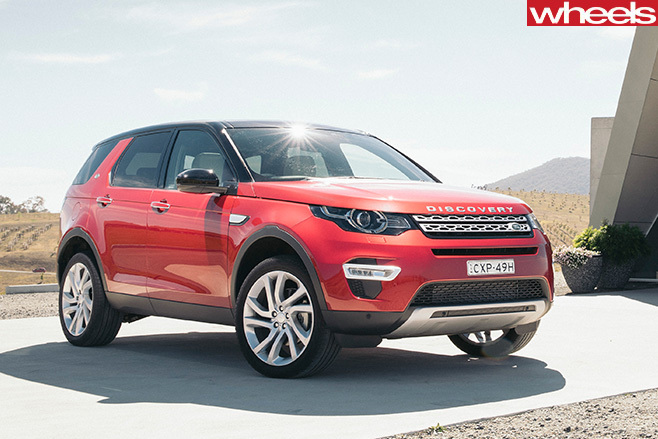 Already a sell-out around the world, the Land Rover Discovery Sport obliterates memories of its Freelander predecessor with an exceptionally attractive, roomy, versatile and off-road-capable soft-roader that actually represents value for money. Another Wheels comparison winner, this proves the British are thriving under Indian ownership. 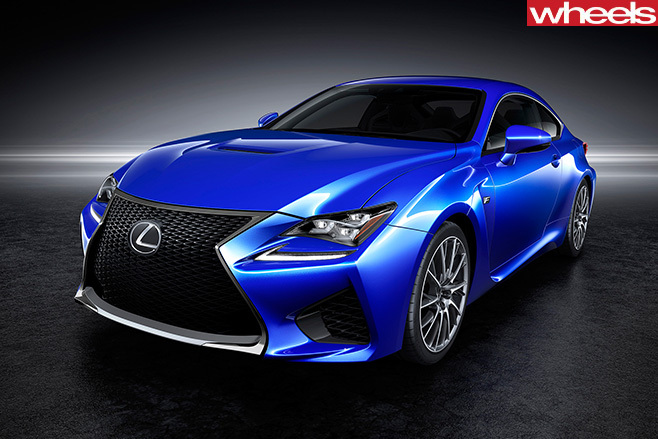 Along with the LFA supercar, the IS sedan remains one of our favourite Lexus models. 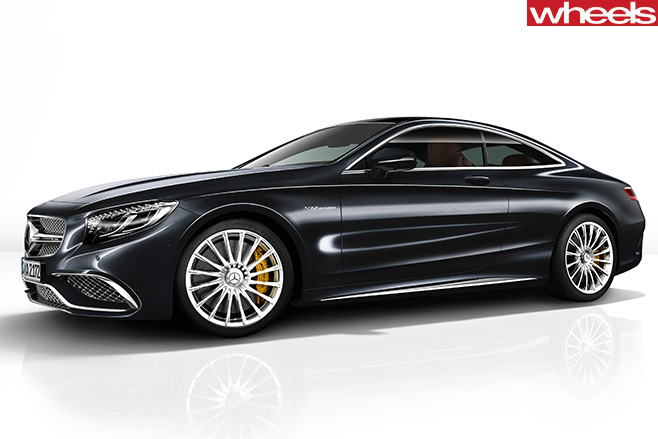 The IS’s suave two-door relative, the RC, bolsters its allure with a truly head-turning design that outsizzles German two-door equivalents such as the (outgoing) C-Class Coupe for style and sexiness. And the RC-F really flies. Can Mazda do no wrong? Building on the superb 2’s base, the CX-3 fires a salvo across the flanks of small SUV rivals with incredibly keen pricing, great design and a range of consumer-friendly options, including a capable AWD system and a frugal turbo-diesel engine. 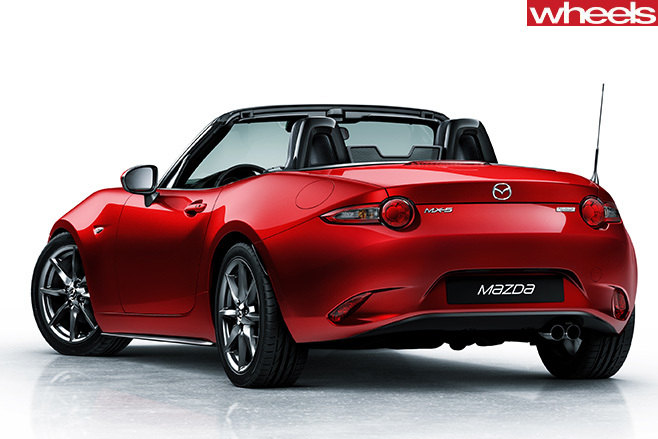 Already a two-time COTY winner – 1989’s original NA and 2005’s NC – the MX-5 is a chance to make it an award treble. Simply put, it is the answer to all our wishes and desires, and then some. Not only is the entry price now almost $15K cheaper, the front-engine, rear-drive, two-seat roadster is lighter, sharper, roomier and even more fun to drive than ever. 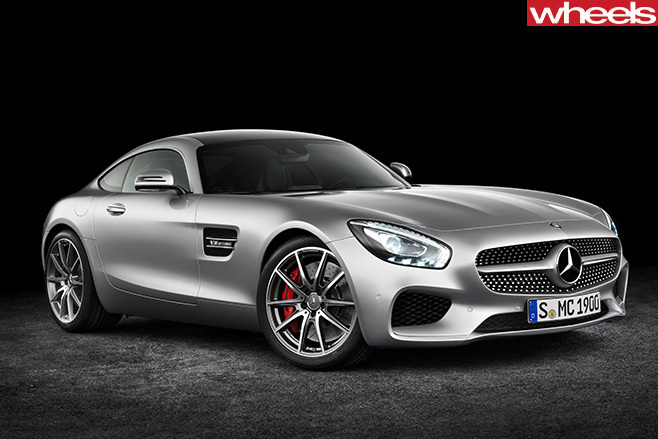 If ever a car showed the true breadth of Mercedes-Benz’s capabilities, the AMG GT S is it. Dramatically designed, blindingly fast and amazingly cohesive dynamically, Mercedes’ answer to the 911 is exactly what many of us had hoped. Trust us, this is the start of something very special. However, if spine-tingling, warp-speed athleticism isn’t your scene, then there’s the seductive S-Class Coupe, which is now so refined and civilised it calls into question the wisdom of spending more than double on a Rolls-Royce Wraith. Make no mistake, beneath those velvety threads is a Mr Universe of muscle-car performance. 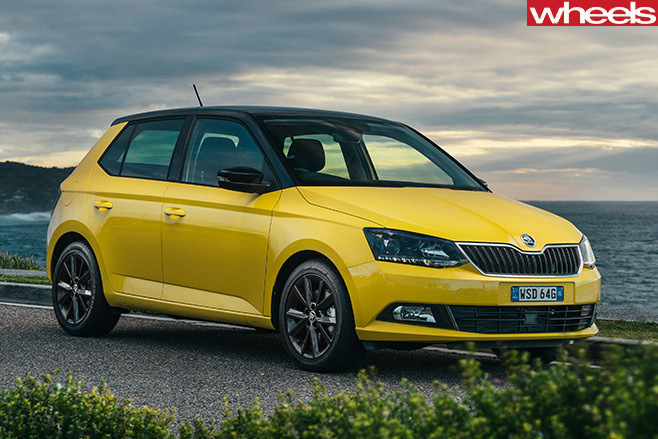 The Volkswagen Group may not have much reason to smile right now, but we guarantee that supermini buyers will bond with the completely redesigned Skoda Fabia if they give it a chance. With a transparency and can-do attitude central to its appeal, the Czech hatch and wagon’s practicality, performance, handling and refinement are underpinned by real personality. It is undeservedly underrated. 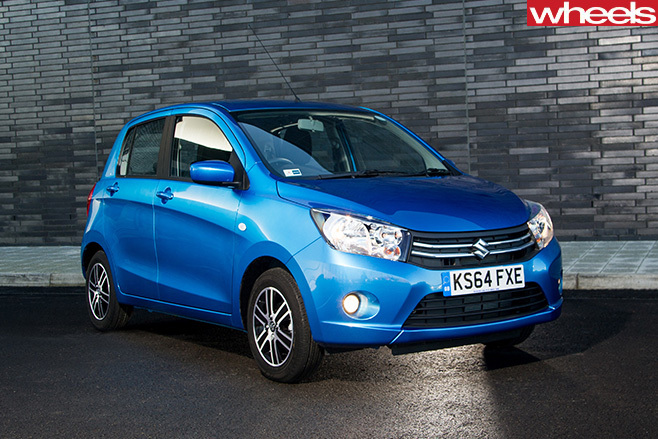 The year threw up plenty of shocks, but nobody expected the homely Suzuki Celerio to be one of them. In a good way, we mean. Replacing the awful Alto, the Japanese-engineered, Thai-built five-door city car possesses an alert verve that, combined with a decent ride, lifts it above the dross infesting the bottom end of the market. Losing the ‘Grand’ moniker, the all-new Vitara further shows Suzuki is on a roll, this time challenging the compact SUV class leaders such as the CX-3 and HR-V. With chunky design, a smart interior, decent dynamics and a starting price that means business, we can gauge why demand has far exceeded supply worldwide. Then there’s Volkswagen, and the question of whether it can set aside its troubles and rack up a third COTY win. 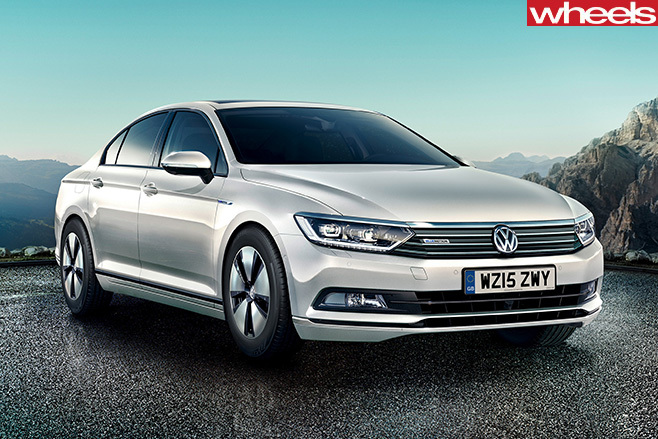 The eighth-generation Passat launched to rave reviews in Europe in late 2014. The German mid-sizer is sexier on the outside and larger on the inside, drops a considerable amount of mass, and ups the technology spirit level for its class, in much the same way the current-gen Polo (winner in 2010) and Golf (2013) have, so we’re expecting big things from Wolfsburg. Perhaps you should hold off before buying that A4 or C-Class. 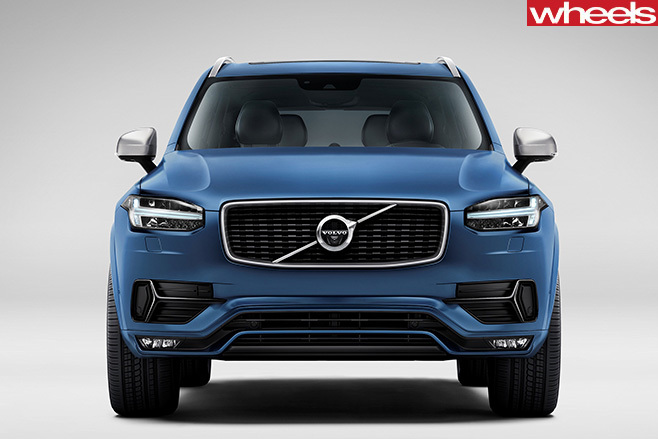 Last but not least is only the second Volvo XC90 luxury SUV in almost 14 years, replacing the Ford-era original. It’s a larger, roomier and more efficient family-friendly design that majors in fanatical attention to detail; the cabin is a marvellously thought-out, minimalist affair. Safety parameters are also obsessively adhered to, made possible by the Swedish brand’s all-new scalable platform architecture that pioneers a number of driver-assist technologies. Roll on COTY 2016. We can’t wait. A NO-SHOW rather than any lack of achievement means the Ford Mustang forfeits its chance to strike this year’s COTY jackpot. Ford Australia couldn’t provide cars for us to drive in time, a real shame for the iconic pony car. Similarly, the Haval H2, H8 and H9 range of SUVs must be on a slow boat from China, as they also missed the wildcard entry deadline – as has the Mercedes-Benz GLC. As a tool-for-task proposition, the Kia Carnival is one of the year's most improved cars. Its handsome design, cabin quality and functionality add to the people-mover class, but the diesel is noisy and the dynamics below par. The popular Subaru Outback is a big leap forward over its ungainly predecessor, highlighted by sharp pricing and real safety progress. 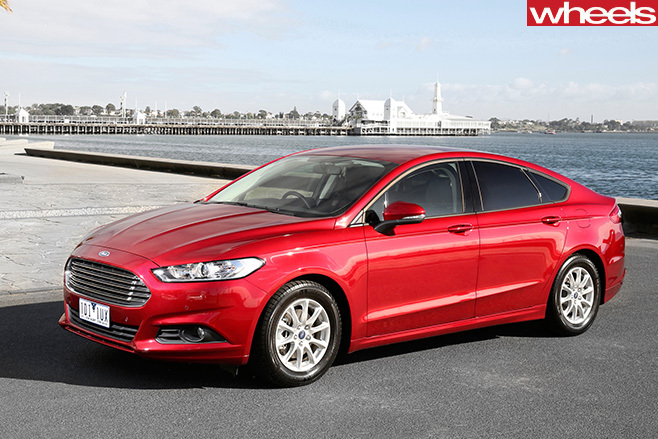 However, rival wagons such as the Ford Mondeo and Mazda 6 edge past it. Renault’s sassy Captur is a victim of bad timing. Had it been released in 2014 as intended, before the spate of newer and better compact SUVs (CX-3, HR-V and Vitara) came through, the Clio-based Frenchy might have scored a guernsey. However, hobbled by a recalcitrant dual-clutch 'box with the 1.2-litre turbo four, it must stay behind. Finally, who doesn’t adore the Alfa Romeo 4C – a raw and uncompromising driver’s car harking back to the marque’s racing heritage? We should just be grateful it exists. But while the 4C's raw driving experience is exciting, it lacks polish in almost all areas and its pricing is relatively steep.